For additional information about this book, visit the website koakanehawaiianmysteries.com. A horrific murder in the land of aloha sends Detective Koa Kāne on a harrowing journey through ancient ritual, cultural conflict, and a web of dangerous secrets. On an island of lava flows and black sand beaches, the Hilo cops get a mysterious 911 tip. Someone’s found a body at Pōhakuloa, the army’s live-fire training area. 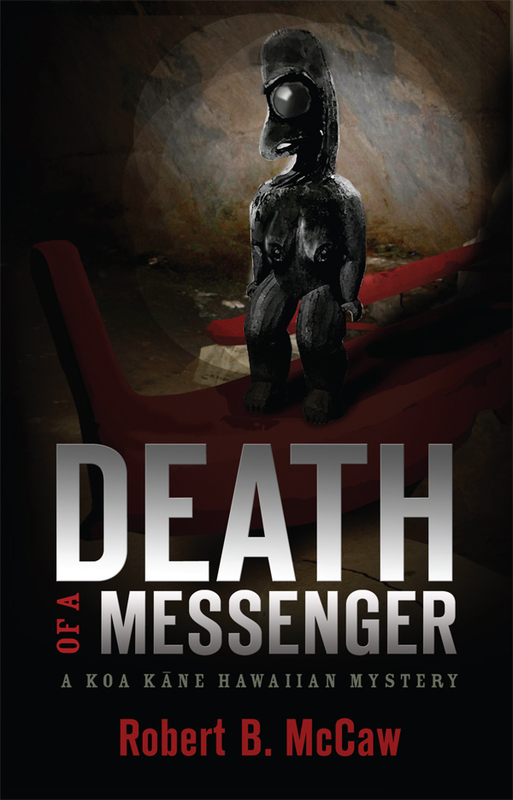 Inside a cave and mutilated beyond recognition—bearing all the hallmarks of ancient ritual sacrifice—the murder is the grisliest crime of Detective Koa Kāne’s career. While investigating the murder scene, Koa comes face-to-face with his native heritage when he uncovers ancient royal burial crypts and a long hidden underground workshop last used by sixteenth century stonecutters. Shocked to find these long hidden archaeological treasures looted, he wonders whether the murder victim stumbled upon the grave robbers and suffer the consequences. The mystery deepens when the wayward son of a longtime police informant turns up injured by an old military shell at an illegal dig on a neighboring island. As Koa investigates these seemingly unrelated antiquities thefts, he encounters a host of obstacles—an incompetent small town medical examiner, a prickly archaeologist, the mysterious descendant of great Hawaiian royalty, hostility from both haoles (Westerners) and sovereignty advocates, and a myriad of lies. Nothing is what is seems, and Koa must rely on instinct and cunning to zero in on the truth. When the murder victim is finally identified, Koa probes his past only to confront a rich roster of suspects—grave robbers, native activists, thieves, and star gazers. These characters reveal themselves to be a contentious lot with strong personalities, deep rivalries and odd foibles. They have few alibies and many possible motives. Suspects abound, but the facts don’t seem to fit quite right. . . until it all comes together when it may be too late to prevent a second murder. Will Hilo’s most respected native detective catch this sadistic fiend in time, or will the Pōhakuloa killer strike again—with even deadlier consequences? Hung Jury is the third novel of the Koa Kāne Hawaiian Mystery series.